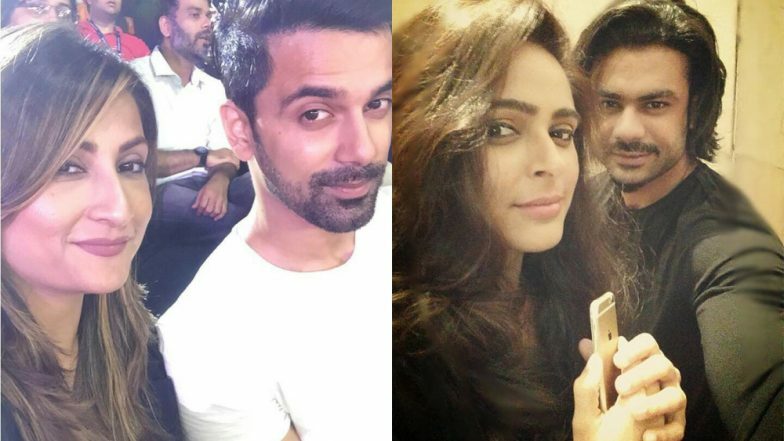 Nach Baliye 9: Ex-couples Urvashi Dholakia-Anuj Sachdeva and Madhurima Tuli-Vishal Aditya Singh to Participate in the Spicy New Season? Nach Baliye has been a fan favourite reality show. Currently, the ninth season of the hit dance based show is in the works. Rumours are, of course, floating in plenty, including the one that suggests power couple Shahid Kapoor and Mira Rajput have been approached to be the judges on the show. Now, a report by Bombay Times is sure to add spice to the drama. As per the report, some ex-couples have been approached to take part in the show. Urvashi Dholakia-Anuj Sachdeva and Madhurima Tuli-Vishal Aditya Singh seem to be the first two pairs of ex-couples who will be seen on the show. Nach Baliye is a show about celebrity couples dancing their hearts out on the stage for the winner's trophy. Not that all the couples have remained one after the show. Many turned exes after the reality show. But season 9 would be the first time, when ex-couples have been roped in. Urvashi and Anuj were rumoured to be dating each other in 2011. But they never confirmed it back then. When the news daily got in touch with the TV actors, Urvashi did not respond and Anuj quizzed, "How can I do Nach Baliye? I am single!” Nach Baliye Season 9: Here’s the List of Contestants Couples, Judges and Hosts of Star Plus’ Dance Reality Show! – View Pics. Madhurima and Vishal met and fell in love on the set of Chandrakanta — Ek Mayavi Prem Gaatha in 2017 and called it quits in December 2018, as per reports. As per the report, the two actors were approached when they were a couple. But that ship has sailed now. With the new format in progression, Nach Baliye makers approached them. Only Madhurima has shown interest as of now. Well, bringing exes on the show seems like a spicy idea. The chances of drama happening on an episode increase double fold with that. We are eagerly looking forward to this new season of Nach Baliye fueled by ex-couples.